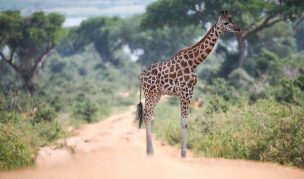 Uganda is a great destination to experience wildlife viewing in both forest and savannah. 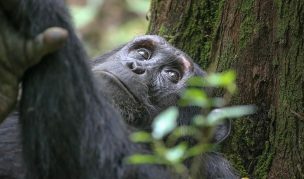 Not to be missed is gorilla tracking in Bwindi; while chimps can easily be spotted in Kibale Forest. 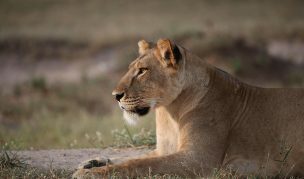 Queen Elizabeth, kidepo valley national park and Murchison Falls National Parks offer wonderful savannah safaris with good wildlife viewing, but animals are not as abundant compared to the top parks of Kenya and Tanzania. This safari combines primate viewing with a classic savannah safari, gives you a good balance between vehicle, boat and walking activities and not leaving out the excellent birding experience and the scenic beauty. 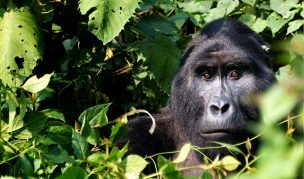 This amazing adventure takes us to Bwindi ‘The Impenetrable Forest’ in Uganda’s mountainous far southwestern tip where you will have the opportunity to track Mountain Gorillas. Bwindi ‘the impenetrable forest’ home to one of the richest ecosystems in Africa. Mountain Gorillas are one of the world’s most endangered apes. It is estimated that there are only about 880 left throughout the world. Almost half of them can be found in Uganda, and populations can also be found in neighboring Rwanda and Democratic Republic of Congo. The Kazinga Channel that joins Lake Edward and Lake George, this wildlife bonaza. Community walks and canoe excursion this will introduce you to locals’ way of life, perfect photographic opportunity. Arrival at Entebbe International Airport, pick up by your drive/ guide to then transfer to your accommodation. This takes a provision of 4 hours on the road between venues should be considered. Conduct an evening game drive where you will be able to spot Zebras, Elephants, Buffaloes, Impalas and Topis, and bird your way around the lodge. 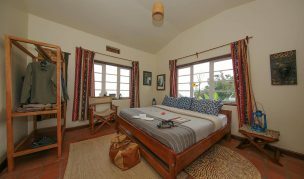 After an early breakfast, meet with your driver / guide and proceed to Bwindi impenetrable National Park. Pass via town of Mbarara town, Kabale then Kisoro town before continuing to Nkuringo Bwindi Gorilla Lodge. This takes a provision of 6 to 7 hours on the road between venues. Continue to Nkuringo sectors of Bwindi Impenetrable National Park. This vast reserve offers arguably the most productive montane forest birding in Africa and supports 23 of Uganda’s 24 Albertine Rift endemic bird species. 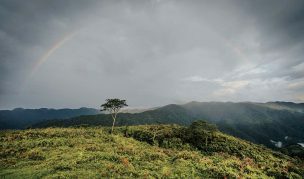 Once part of a much larger forest that included the Virunga Volcanoes in neighboring Rwanda, Bwindi Impenetrable National Park is now an ecological island within a sea of human cultivation and is of immense conservation importance. After breakfast at around 7:45am with packed lunch and drinking water you will transfer to the starting point for briefing on the dos and the don’ts while with the gorillas. You will then continue to the forest for gorilla tracking following them. This activity can last from a few hours up to a full day, depending on the location of the gorillas as they range freely in the impenetrable forest. Relaxed morning, after breakfast proceed to the Ishasha sector of Queen Elizabeth National Park. Queen Elizabeth National Park, lying 1978 sq. 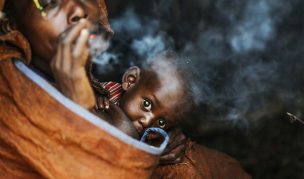 km west of Uganda. It harbours a diverse eco-system with a lovely savannah, fertile wetlands making it home for the big game, 10 primate species and a large number of bird species. 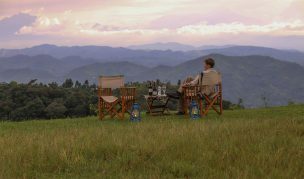 After breakfast you will head for a game drive; Situated on the Great Rift Valley escarpment with uninterrupted views of the savannah, Lake Edward and the Virunga and Rwenzori mountain ranges beyond. Transfer back to the lodge for lunch, after which enjoy an afternoon Launch cruise along the Kazinga channel. The channel is 40 wide and offers beautiful scenery of hundreds of hippos along the banks as well as different bird species seen when cruising west towards Lake Edward. Have an early breakfast, enjoy another game drive. View more game as you catch them from their hunt expeditions before driving to Kibale. 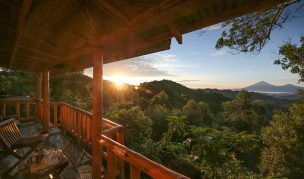 Enjoy the land scape as you set off to Kibale Forest National Park found in Fort Portal, a town at the south-western side of Uganda. The park bares homage to a very large number of primates. This day will be a long driving day of 3- 4 hours. 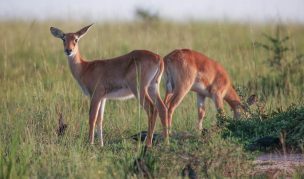 Have an early breakfast, drive via the Escarpment, enjoy the land scape as you set off Murchison Falls National Park; This day will be a long driving day of 7-8 hours; we will have numerous stops to stretch your legs.